Whenever we are exposed to something new we allow our minds to expand because learning is an ongoing process in life. From birth until death we experience changes that make us evolve physically, mentally, and spiritually. When we don't evolve we begin to feel stuck, unstable, and uneasy. Many things can cause our energy systems to shut down in different ways. Many things can cause our energy systems to shut down in different ways, for example: when we have too much stress, experience traumatic events, lost someone we love, or any other situation that feels too charged or way overwhelming to handle, our energy systems gets unbalance. There are many ways in which we can help ourselves restore and balance back our system so that our energy flows better like practicing mindfulness techniques. Being mindful is a crucial part in our growth since we encounter different types of challenges throughout our lives which will obligate you to find a way to cope or to release when the challenges become too heavy to handle. Many people who are not exposed to different mindfulness techniques or do not have positive coping mechanisms get consumes, unbalanced and drowned in their issues, their feelings, unable to find a way out. That is usually when feelings of depression, anxiety, and even post-trauma symptoms kick in. Sometimes we are mindful in a very instinctual way. For example, we have learned that when something bothers us to take a deep breath. But then what? Is one breathe enough to push your issues away? No, it's not! One breath will calm you in a slight second. Now try 10-15 slow deep breathes. It will calm you even more by allowing more oxygen to enter your body, which will lower your blood pressure and slow down the thought process. The issue is that when we are angry we forget about this. Why? Because it is not part of daily practice. 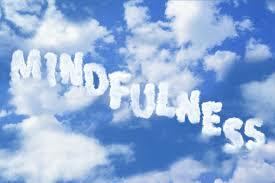 Being mindful is something that needs to be integrated into your life on a daily basis. Studies show that it takes 21 days to repeat an action in order for the mind to register it as an automatic behavior. In that moment I invite you to try this. 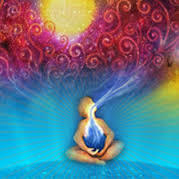 Sit comfortably and take 15 deep deep breaths by breathing through your nose as much air as possible bringing the air to your belly and your lungs and then slowly exhaling through your mouth until you have no more air. Uff... now, imagine if you do this each day as you wake up. Would your energy shift? Will you start your day in a more calmed vibe? From personal experience and from what I have gathered from my clients, the answer to those questions is YES! Breathing is just one example of a mindfulness practice that is highly necessary to reduce everyday life stressors. 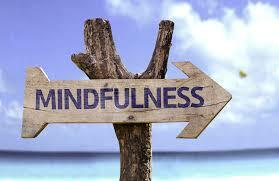 I will be sharing different ways in which we can become mindful. But the most important message I would like to give to you is that being mindful although can be done in a collective manner, in the end, it's a personal practice; an understanding with yourself. is asking your body, mind, and spirit what it is that they need to get rid of the unnecessary burdens to be healthy and stable. This can be from meditating at least 5 minutes each day, to doing active breath-work, sound-bowls, yoga, reiki, getting a massage, writing, treating yourself, coloring and utilizing your creativity. The possibilities are endless and it's part of your duty to as you grow in life find more and more ways to help you go through the different stages in life. For more information on mindfulness techniques write to me or leave me a comment! Like I mentioned, I will keep sharing more information about mindfulness techniques and how to engage with them.